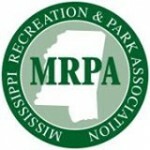 The undergraduate major in Sport and Recreation Administration at the University of Mississippi is accredited by the Council on Accreditation for Parks, Recreation, Tourism and Related Professions (COAPRT). COAPRT recognizes academic programs in colleges and universities that prepare new professionals to enter the parks, recreation, tourism and related professions. COAPRT Accreditation is a status granted to an academic program that meets or exceeds stated criteria of educational quality. In the United States, accreditation of professional preparation curricula is conferred by non-governmental bodies, which are often closely associated with professional associations in the field. COAPRT accredits baccalaureate degree programs in this profession. The UM sport and recreation degree programs have been accredited since 2000 and will be reviewed for re-accreditation in 2022. In 2015, based on University strategic planning initiatives, faculty evaluation, and advisory board recommendations, the program was renamed Sport and Recreation Administration. The Sport & Recreation Administration degree program provides a contemporary education focused on preparing students to become certified park and recreation professionals (COAPRT 7.01, 7.02, 7.03). 01. Prior to being admitted to the Internship course and assessed by a pre- internship competency examination students will demonstrate comprehension of the nature and scope, techniques, and processes used by professionals within the field prior to the capstone internship experience. In 2016 70%of students completing the exam the first time scored at least an 70% on questions related to this outcome. 02. Prior to being admitted to the Internship course and assessed by a pre-internship competency examination students will demonstrate comprehension of contemporary programming standards and competencies related to designing, implementing and evaluating programs for diverse populations. In 2016 70% of students attempting the exam the first time scored at least an 70% on questions related to this outcome. 03. Prior to being admitted to the Internship course and assessed by a pre-internship competency examination students will demonstrate comprehension of operations and administration practices and policies within sport and recreation professions. In 2016 60% of students attempting the exam the first time scored at least an 70% on questions related to this outcome. Sport and Recreation Administration students attend at least one professional conference within the field prior to graduation to gain insight about the profession, attend continuing education programs, and meet other professionals. 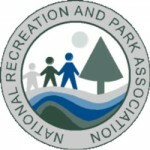 In 2016 88% of students enrolled in the Professional Development Course attended the National Recreation and Park Association conference in St. Louis, Mo. earning at least .9 CEUs which exceeded the targeted extracurricular education rate by 18%. The contemporary Sport and Recreation Administration degree program curriculum culminates in a professional internship experience that requires students to apply the knowledge from their degree program (COAPRT 7.04). 91% of graduating students reported that the University of Mississippi COAPRT-based curriculum effectively prepared them for internship responsibilities. 100% of graduating students reported that their internship utilized knowledge acquired from their sport and recreation coursework. 86% of graduating students reported that the SRA degree program RACE (Recreation administration Continuing Education) experiences provided professional preparation for their internship experience. 86% of graduating students indicated that their University of Mississippi advisors were helpful in advising toward a career-oriented internship. 79% of students achieved or exceeded the rating of Excellent from their on-site internship supervisors. All students (100%) completing the internship were certified in CPR and First Aid prior to the internship. 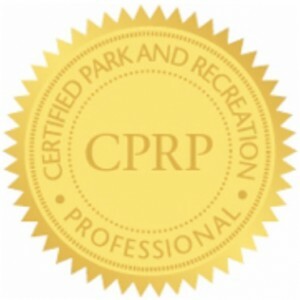 Students were evaluated by internship supervisors to determine how well prepared they were to engage in professional competencies associated with the Certified Park and Recreation Professional & Executive certifications (CPRP/CPRE). 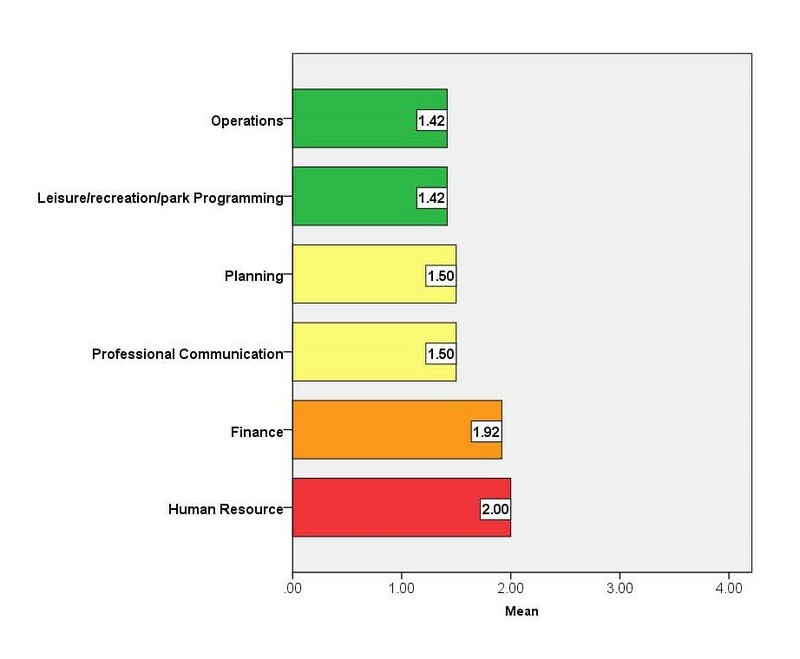 The measure, on a 4-point scale (1=Excellent Proficiency – 4=Poor Proficiency), is a metric to determine how well the UM degree program has prepared students to perform these tasks as a front-line supervisor. Professional Accreditation. The undergraduate major in Sport and Recreation Administration at the University of Mississippi is accredited by the Council on Accreditation for Parks, Recreation, Tourism and Related Professions (COAPRT). COAPRT recognizes academic programs in colleges and universities that prepare new professionals to enter the parks, recreation, tourism and related professions.